Reconnections. | Scuffalong: Genealogy. Reconnections. – Scuffalong: Genealogy. Today I reconnected with two of my uncle Jesse‘s children. The youngest I have not seen since 1987. The older, probably not since the mid-1970s. The tenth anniversary of his death is two weeks and two days away. A fortuitous restoration of ties. 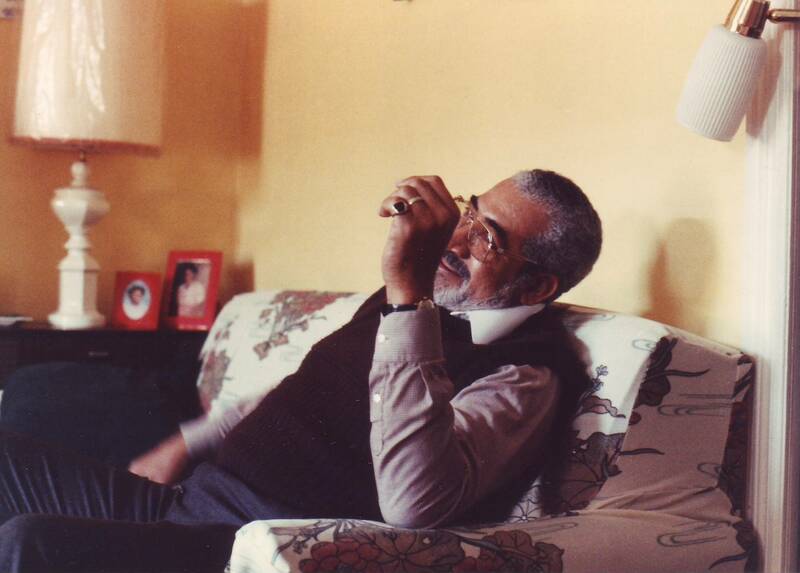 My uncle, Jesse A. Henderson Sr., at my grandmother’s house in Philadelphia, mid-1980s.